Have fun with your die cuts by coloring them with your copic markers as seen below. I used Copics to do something different than the usual paper piecing. What a FUN creation Monica and your coloring is AWESOME! 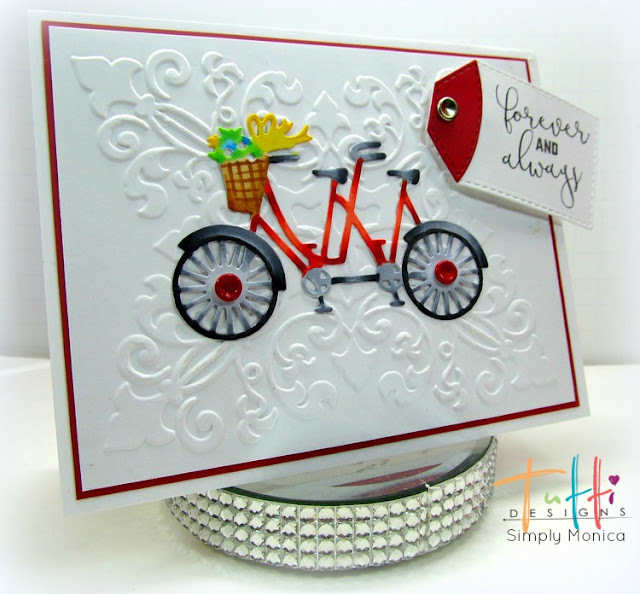 I love all the white space behind this adorable tandem bike die ... perfect!! Thanks for wonderful inspiration! What a wonderful bike !